Autonomy is already changing how designers are approaching car design. Imagine: You exit the bustling Gare du Nord train station in Paris and walk toward a cluster of people standing in separate but quickly moving lines of travelers, organized by group size. You’re alone so you get in the single-traveler line, and soon enough, you’re at the front of the line, and your car awaits. It’s small: the interior only fits you and your suitcase. As you get inside, the lights shift to match your color preference and your favorite music comes on, both synced from your phone. There’s no steering wheel, and you post to Snapchat on the way to your hotel. When you arrive, the car drives off to pick up its next passenger, already altering its lighting and music. This surreal scene could be the future of transportation with autonomous cars. A car could be able to personalize itself to you without you having to own a car. City streets could be full of tiny, slow moving pods that barely stop moving between picking up riders and dropping them off. Traveling in groups could lead to a car picking you up that doesn’t even have front facing seats, because no one needs to be able to look at the road. Instead, passengers could sit in a circle so they can easily see each other. Although the focus on autonomous cars has been primarily on the artificial intelligence, what a car looks like will also surely change. The Vehicle Design program at the Royal College of Art in London has been one of the leading sources for car designers for the last forty years. Inverse spoke with Greg Votolato, a design history expert and tutor at the Royal College of Art Vehicle Design program, about the changes already happening in the design world based on the rise of autonomous cars. How is car design changing as we move towards the possibility of autonomous cars? 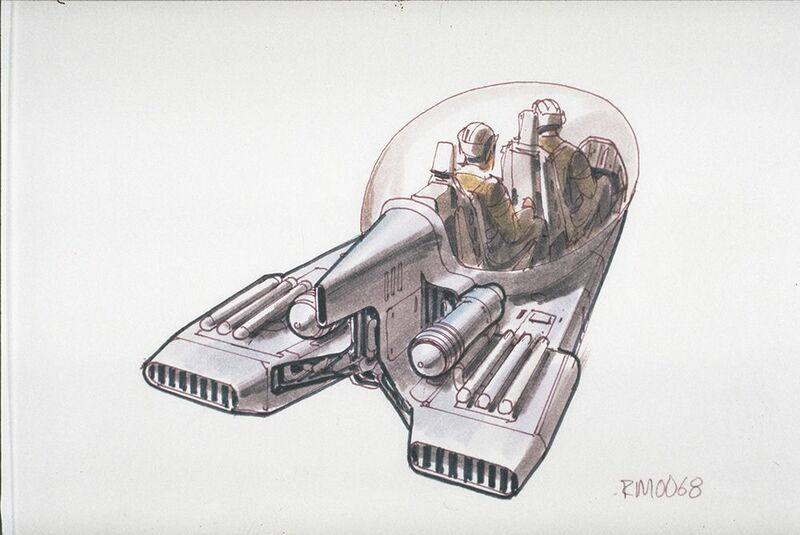 That vehicle design course I teach at the Royal College started in 1974. This is the last year it will be called vehicle design. It’s going to morph into a different kind of post-graduate program called Intelligent Mobility. The fact that they’ve seen fit to change the description of the course, to change the structure of the course, suggests a move away from this idea of the luxury sports car as the be-all and end-all of car design. The vehicle design students at the Royal College, they don’t drive. A lot of them don’t have licenses. So they don’t have that American thing where you turn 16 and you get your license and then you never travel another way except behind the wheel of a car again as long as you live, which is kind of my experience, just dinosaur stuff. It’s incredible. Car concept art is already pretty striking, even as designers are stuck working with a limited number of things they can change about a standard car. How is this going to change how cars are designed? The job that young automobile designers have, at least if my students are anything to go by, they’re looking at how you can make an autonomous car a nice place to be for one or two people, if you’re talking about city transport. 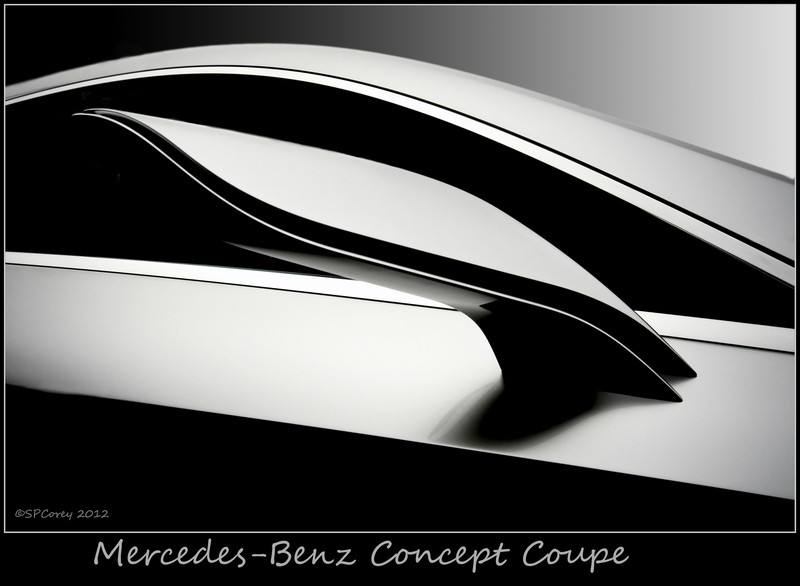 Obviously big, luxurious Mercedes-style vehicles are on the horizon too [but for larger groups or outside of cities]. Entertainment and connectivity, that seems to be the real emphasis. Just physical features like changing the seating positions, since you’re not sitting in a vehicle that’s entirely about forward motion and speed. There has been some work that suggests that autonomous cars will increase car-sharing. The catch is that cars will be more expensive. Do you have a sense of how design might change when you don’t own a car anymore? The capital investment is going to be much bigger for these very highly equipped cars, especially when the designers get a hold of them. Because they’re going to be trying to find ways of personalizing the space which could include more exotic lighting patterns, the implementation of information from all your electronic sources and so forth. Are you already seeing signs of totally different types of cars? 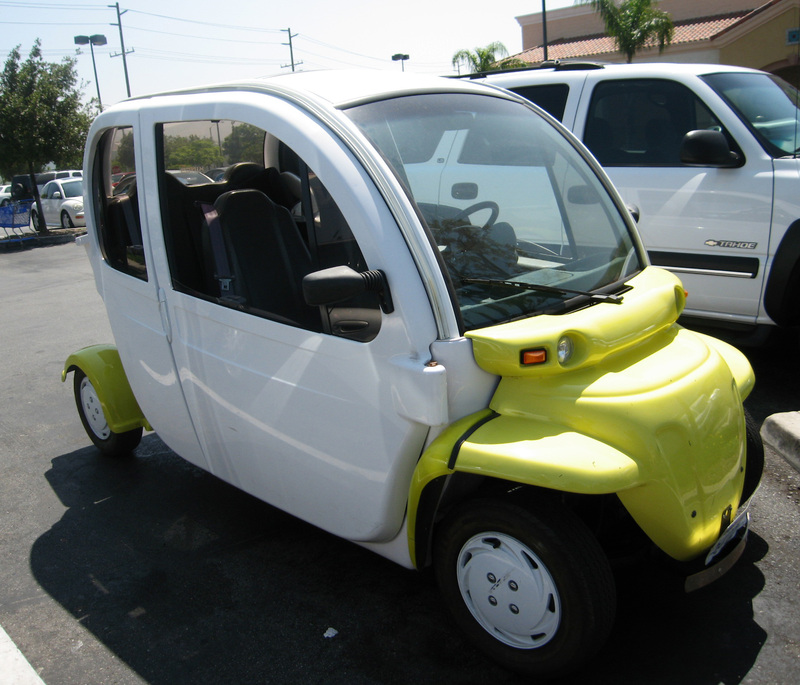 There’s a guy called Dan Sturges in California who runs a firm and he makes things basically based on golf carts. Electric quadricycle vehicles that are like bigger versions of a golf cart and he sells them all over the place. In any tourist town in the summer on the West coast, you’ll see these things stacked up for rent by the hour. They’re low-speed, neighborhood electric vehicles. They’re cutesy, tourist vehicles, but they’re also a very useful car for someone who comes to a town like Key West. And they do stretched ones for six passengers and little ones for two passengers and medium sized ones for four passengers. It’s a local little industry of renting these cars. Sturges designs them and they’re wonderful for their purpose but it’s a limited purpose. These form a new niche that didn’t exist before, a niche that wouldn’t have been recognized as automobiles until they started to fill the roads. So I’m hoping that signals an increase in the diversity of the types of vehicles available. Electric cars that can only be used at low speeds and short distances are already legal in California. Why would a diversity of types of vehicles be useful? With car services, you should be able to hire the vehicle that is right for the journey. So even if you own a car you might want a bigger car, or a smaller car, or a faster car for a particular journey. That’s one way that this will go forward. If the car was small enough, why share? If it’s a one or two passenger vehicle, you say “I’m one person,” and they send you a one person car. We like to sit in a private bubble. People don’t want to go out and share a car with a bunch of strangers at three o’clock on a Sunday morning. It’s just not wise. It’s not safe. But if you were in your own little bubble and it had a capable driver, in other words, a computer, driving it, I’d feel a little safer. How practical is the idea of a city of tiny pod cars for individual people, medium cars for small groups, and large cars for big parties? This too, I think is what could potentially keep the car makers ticking over, if they had to make a diversity of products. Obviously they’d have to charge a lot for them, it would be batch production instead of mass production of a single product and that’s not in their interests but given the possibility that they could work that out somehow by modern small manufacturing technologies, then we would really have something that could be quite nice. I don’t think people are ever going to get out of cars until legislation forces them out, or more likely, until they’re given something better as an alternative, something they like more.